At WealthValues, we provide our clients with trusted, personalized and comprehensive fee-only wealth management services. As our clients experience various life transitions and market cycles, our focus remains on creating solutions aligned with their best interests. We value the confidence our clients have bestowed upon us during our twenty-plus years of collective wealth planning service, and hold ourselves to the highest standards of ethics and integrity as stewards of our clients’ well being. We are viewed as trusted advisors by our clients, the professional community, and the media. Many of our client relationships were initiated more than a decade ago. Our depth of knowledge and experience in financial planning and investment management provides our clients with confidence in making sound financial and life decisions. We are committed to providing comprehensive planning. Our investment advisory process incorporates the breadth of one's financial situation. Thoroughly understanding the complexity of each of our client’s particular needs — financial and non-financial — we provide strategic plans tailored to each individual and their goals. Our goal is to provide personalized service to each client. We work closely with each client to provide the individualized attention and customized solutions critical to financial success. 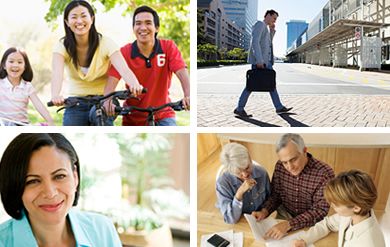 We thoroughly review the areas of each client’s financial life that contribute to financial success — family goals, charitable intent, retirement planning, risk assessment, tax management, portfolio structure and estate planning — collaborating with the client’s team of professionals to provide sound strategies in alignment with their goals. WealthValues offer financial advice, wealth management, financial planning and retirement planning on a fee-only basis. WealthValues serves Northern California's South San Francisco Bay Area and Silicon Valley, including Palo Alto, Menlo Park, Los Altos and the Peninsula. Our offices are located in Menlo Park, CA. Wealth Values, LLC, (“WealthValues”) is an investment advisor registered with the U.S. Securities and Exchange Commission. WealthValues only provides investment advisory services where it is appropriately registered or exempt from registration. Those advisory services are only provided after clients have entered into an Investment Advisory Agreement confirming the terms of the client relationship and have been provided a copy of WealthValues ADV Part 2A brochure document.